You are here: Home » THIS IS GREMLIN MONTH! Finally it is here! The past few days I have been ‘laboring’ over my impish swamp dwellers and have glued and assembled all of them. Now that they are assembled, primed and looking at me mischievously, I cannot do anything else but get to painting them and initiate my month long gremlin grind. That would be 18 models that I ‘immediately’ need to play by the end of this current month. It sounds like a lot, but it really isn’t. 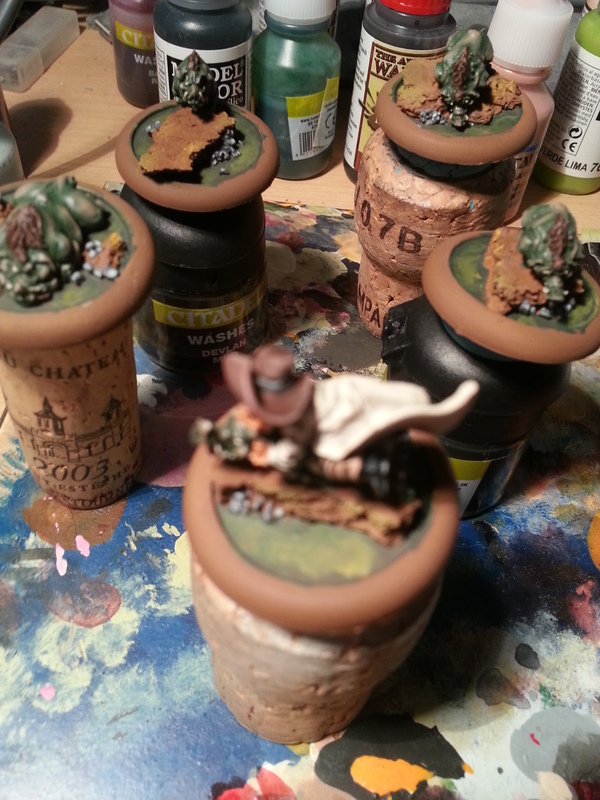 Gremlins are usually easy to paint up and the piglets are going to get finished really quickly. Same with the mosquitos. Avatar Som’er may require a bit of attention, since the model is not only huge, but in an ugly way beautiful and worth the effort to make it look good. I think I may start off with the three Young LaCroix, so I can M2E with Ophelia until my Campaign League continues at the end of the month. By then I will need the rest finished and pampered. It is quite a bit left over to paint after that but nothing of that is directly needed immediately. I am not 100% sure what I will paint after the initial squad. Probably some of the smaller models first, also to fill in as more Bayou Gremlins. 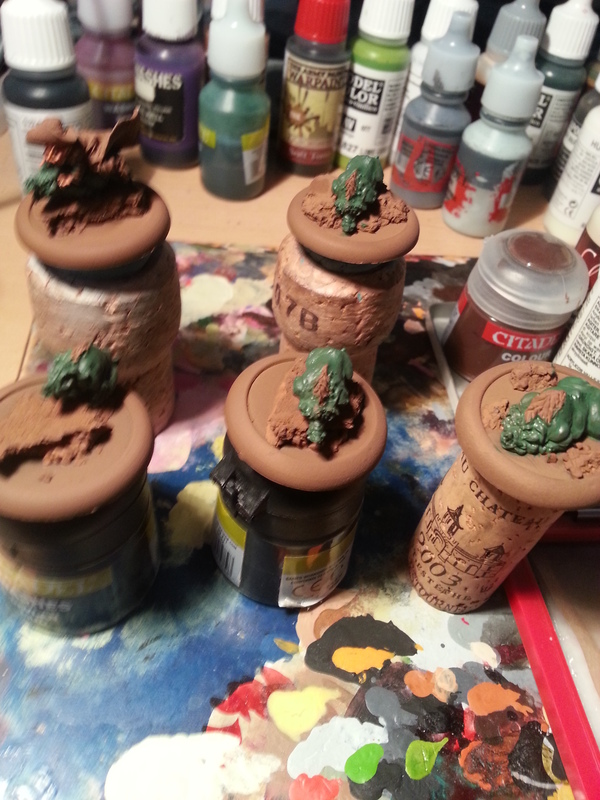 Here’s a WIP on the first five critters I tossed onto my desk to paint. The finished ones will be shown in the next post. THIS IS GREMLIN MOOOOONTH!